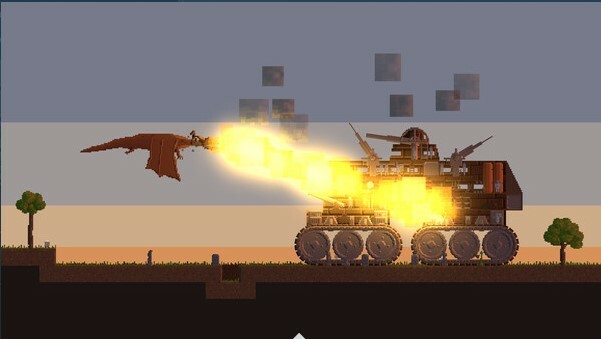 Design pixel steampunk flying ships from functional modules and conquer the skies! 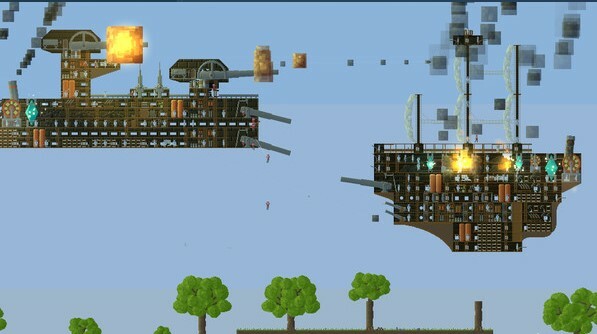 The ships in the game are shown in the section from the side, and their modules are controlled by the crew members. During the battle, players give orders to a small fleet - they have their ships, ram and board the others. 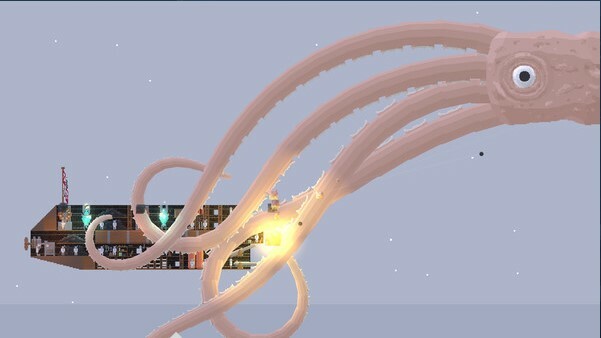 Ships and terrain are completely destructible: they can ignite, explode, fall apart and fall. Also, players can fight against each other through the Internet or local network. The ships are very detailed, they serve a lot of sailors, each of which performs its task. It looks like a home ant farm or a sectional drawing. The choice of a player when designing a ship is crucial. A large part of the game is to study the designs of various flying ships and the corresponding tactics for them.